"Pass a law, make a business." Much has transpired since September 11, 2001. Something does not add up. Someone has something to hide. "Cui Bono?" is Latin for "who benefits?" Is there a connection between the rich flow of profit and market manipulations flowing from 9-11 and the stonewalling by the Administration and the agency members of the National Security Council? 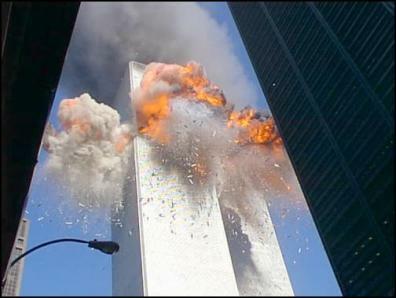 Time has passed since September 11, 2001. As new budgets are approved, financial statements published, laws passed, taxes cut and stocks go up, it is easier to identify who benefited politically and financially from 9-11. As we map out the financial "real deal" on 9-11, we realize there are three categories of people benefiting. Richly Guilty: The first category of people who benefited were those who are guilty and complicit in designing, implementing and financing the 9-11 operation. On such a sophisticated and successful covert operation, the people responsible would have had budgets and financing and would have organized the operation to maximize their political and financial benefits. This is the nature of economic warfare. Richly Opportunistic: The second category of people who benefited were those who were opportunistic in taking advantage of 9-11 as an economic and political event as soon as it happened. Some folks, such as money managers, are obligated as fiduciaries to be opportunistic. Others, such as government officials, may be opportunistic at the cost of ignoring their fiduciary obligations. As one retired banking executive said, "Let's face it, if the guys in Washington had been doing their job instead of helping their pals make money, 9-11 could never have happened." Sustainably Naïve: The third category of people who benefited where those who shared in the political and economic profits generated by the first two categories. Taking the position that, "money has no smell," the large number of people in this category are generally not cognizant of their complicity through the incentive system created by "voting with their money, time and attention." Where to begin to determine the specifics of who benefited? This is a significant task for private citizens who do not have the rich flow of investigatory, intelligence and enforcement resources of government. Hence, a citizen led effort will need to break the task down into manageable collaborative pieces. One way for global networks of researchers, blog authors and Internet media to start to build the "Cui Bono?" unanswered questions of 9-11 is to develop a framework that outlines the general areas of profiteering. In fiscal 1999 and 2000, the Department of Defense (DOD) reported $3.3 trillion of undocumentable adjustments in the process of failing to produce audited financial statements. In the summer of 2001, the appropriations for DOD failed to report out of committee before the summer recess. The political tension between arms manufacturers and defense contractors who anticipated pay back from the Bush election victory and those pressing for federal spending and financing to conform to spending and securities law was resolved by 9-11. The questions remain пїЅ who has the $3.3 trillion plus missing from the US Treasury? what is the role of the NY Federal Reserve Bank and its members as depository for the US government and agent for the Exchange Stabilization Fund? and why are we proposing to cut back social security rather than getting these resources back? At the time of 9-11, federal and state enforcement leaders were facing a mountain of documentation that up to $6 trillion had been fraudulently skimmed out of pension funds and retail stock holdings through insider trading and other forms of corporate and banking financial fraud and securities law violations. The events of 9-11 are alleged to have destroyed significant amounts of documentation related to investigations against Wall Street firms and leading New York Federal Reserve members. Subsequent to 9-11, enforcement bureaucracies attention shifted in response to the Patriot Act and a shift in budgetary resources away from policing white collar crime by corporate and banking leadership. Financial institutions who have access to the federal credit can use such credit to raise deposits and savings from citizens, paying little or no interest, and then lend it back to the citizens at much higher interest rates through financing the US Treasury, mortgage agency securities or in relaxed lending policies which charge relatively expensive interest and fees. Hence, it is now a common fact pattern to find people in America earning 2% on their bank CD's while their neighbors are paying Citibank, JP Morgan Chase and the IRS 18% on their debt. Subsequent to 9-11, these types of rich federal credit arbitrage profits appear to have skyrocketed as the facilitating ease in monetary policy was matched by extraordinary increases in government debt and easing in consumer debt policies and more industry favorable bankruptcy and lending laws. In short, 9-11 appears to have been used by Greenspan and the NY Federal Reserve to promote the back door liquidation of middle class equity through federal credit arbitrage. This kind of manipulation allows sophisticated financial institutions to "put" their losses back to the government and the citizens in a "heads we win, tails we win" economic model which is hard for the non-financially literate citizen to understand. With important air cover from 9-11 and the 9-11 response, the flow of government contracts and economic activity is diminishing throughout the United States. That is because our military is being deployed abroad. As these government contracts and related economic flows move to Eurasia, the private equity pump and dumps move from onshore to offshore. The 9-11 response has been used to justify increased military, political and covert support to ensure that American and European oil interests are protected in the Middle East and worldwide. As part of the 9-11 response, the US has invaded and occupied two sovereign nations and, in the process, increased war profiteering, narcotics trafficking and organized crime flows in these areas. Of particular concern is the necessity that the draft will be re-instituted after the Presidential election and global invasions will continue to subsidize the war profiteering business model. This model is essentially one in which government pays all the expenses, the citizens give their lands, lives and limbs, and the economic benefits and private booty flow to a handful of private parties and their investors. When viewed by age group, it is a war on the young by the old. After 9-11, the insurance industry won important legislation that shifts significant risk from private investors to citizens. Additional legislation and special benefits were provided to the airline industries as well as other corporate and banking interests. Significant tax cuts would fit into this category. Budgets for the national security state increased across the board, including to support its control over domestic functions and to deploy globally both in space and on land. While allegations of insider trading on 9-11 have circulated in the press, there has been little comment on the extent to which the 9-11 response supported continued manipulation by the NY Federal Reserve and its member banks, including through the US Treasury Exchange Stabilization Fund, of the gold, silver, stock and other capital markets and the continued build up of private unregulated derivative positions. Is Silver Scandal on the Horizon? While not-for-profits raised a tremendous amount of donations as a result of 9-11, where the money went is a question. 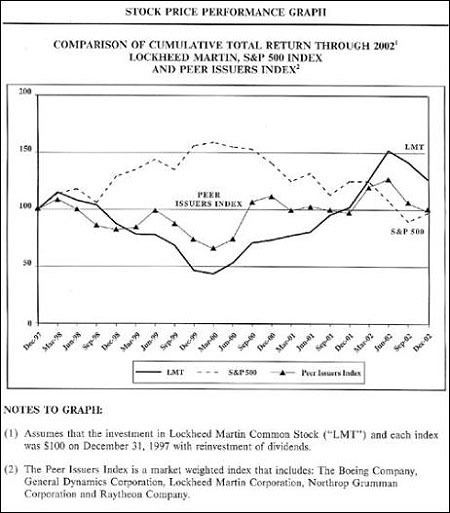 Was it used to respond to 9-11 or did it enrich endowments that were reinvested in corporate and bank stocks and the securities financing the profiteering? The Red Cross in the Cross Hairs? The World Trade Center was sold by the Port Authority of New York and New Jersey with a transfer of mortgage shortly before 9-11. Understanding the economics of these transfers, the controls and economics of the losses and the potential profits of the redevelopment are essential to understanding what has happened. Also essential is understanding the various insurance and security company players who had access to the building and building specifications, information systems and archives and the law firms who represent them. The increase in airport and building security and the centralizing control of it's outsourcing has contributed significantly to the costs of these facilities, who controls the facilities, flow of traffic and data and the profits flowing to selective parties providing these services. A look at the economics of the related insurance business and premiums is warranted. Analysis of the average time to move through the facilities of corporate travelers and their luggage versus non-corporate travelers and their luggage and who controls that differential and the related data will be instructive. US media canceled the announcement of their recount of the Florida presidential election as a result of 9-11. Allegedly, this would have raised legitimate questions as to the Bush Administration's legitimacy. After 9-11, the installation of computer voting systems for which there is no verifiable paper trail has accelerated. This increases the chances that Florida type events will increase. The companies doing the installation appear to be predominantly Republican owned and controlled. Profits are generated both from installation of the system, as well from the benefits to those who can rig elections as a result. For example, it is worth estimating the extent to which rigging the Florida election impacted who got how much 9-11 profits. The Patriot Act, available off the shelf at 9-11, was passed with little legislative access or discussion. It authorized extraordinary control of financial cash flows and data about financial cash flows. What is the value of controlling an estimated $500 billion- $1 trillion of annual US money laundering? In the shift to a permanent war time economy, the alleged insolvency of the Pension Benefit Corporation, Social Security, the health care system and the credits behind the mortgage securities and other securitized consumer debt held in US pension funds and retirements savings has received short shrift financially and conversationally. It is essential to understand the impact of 9-11 and the 9-11 response to the market share and profits of corporate media and the linkages between investors in corporate media and in the corporations and banks that most benefited from the policies promoted by corporate media. Since 9-11, we have watched the role out of a significant amount of black budget technology. The intimate militarization of all planetary air, land, water and oceans and space with electromagnetic, laser, sonar and other invisible weaponry implies a zero privacy world for all living things. This is a world where our thoughts and feelings are not free of 24-7 interference and influence unless we wish to tunnel deep underground. Perhaps that is why the black budget is financing so many underground facilities. Always telling, a review of what law firms are representing the parties profiting in all the other categories will say a great deal. Attorney client priveledge remains the primary railroad to protect the rich flow of organized crime profits behind national security law. Lawyers are often the channel for political campaign contributions and political lobbying as well. The crossover between the players involved in 9-11 profiteering and in Enron's rise, fall and clean-up are mystifying. There are linkages here that can offer important clues if we analyze them as related economic flows. One hypothesis is that Enron was being used by the NY Federal Reserve member banks as US Treasury depositories to launder some of the monies disappearing from the federal government. Who has been promoted following 9-11? The salaries, stock options, health care and other perks of the key players both private and public are well worth reviewing carefully. This list of twenty profit areas does does not include payments to the 9-11 victims or their families. Such payments have been a remarkably effective tool to negate the political influence of the families, and should be viewed economically as an effective advertising expense relative to the total profit flows. For example, the Republican convention is being held in New York this fall to concide with the 9-11 anniversary. It is essential for this event that the 9-11 families are muted as an independent voice against 9-11 profiteering. The potential failure to do so is a major Bush Administration political vulnerability. One opportunity to build a better understanding of 9-11 will flow from an analysis of 9-11 profiteering. As we understand the profit flows, we can then drill down to define the banks, companies, organizations and investors who benefited as well as the particular individuals in key leadership positions who profited personally. In an ideal collaborative research effort, we would attempt to estimate the total financial profits and capital gains to the individuals who have enjoyed the greatest 9-11 benefits. We would also attempt to ascertain patterns between these benefits. For example, we would look at the flow of donations into the current political campaigns. In addition, we would want to understand the shift of capital from the US to Asia to finance the outsourcing of US jobs, to finance the privatization of US government and assets at below market prices or above market contracts, and to park and enjoy the freedoms of offshore havens. Catherine Austin Fitts is the President of Solari in Hickory Valley, Tennessee. Ms. Fitts is a former managing director and member of the board of directors of Dillon Read & Co, Inc, a former Assistant Secretary of Housing-Federal Housing Commissioner in the first Bush Administration, and President of The Hamilton Securities Group, Inc.
Ms. Fitts is a member of the Advisory Board of Sanders Research in London, a founder of UnAnsweredQuestions.org and publishes The Real Deal, a column with Scoop Media in New Zealand.